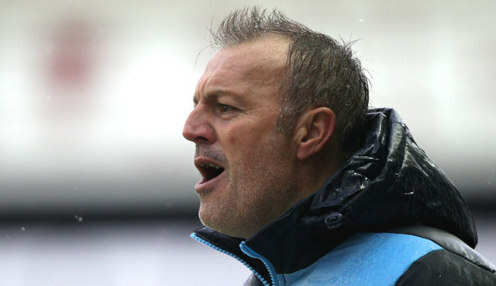 Leeds United boss Neil Redfearn has criticised former managers Dave Hockaday and Darko Milanic before the Championship clash with Fulham. Leeds' away form has been dreadful this term and they slumped to a 4-1 defeat at Ipswich Town, 1/1 to be promoted this season, last weekend. United have only picked up five points on their travels so far this season and are 1/1 to be relegated to League One. Redfearn told Radio Yorkshire: "The away form is something we've got to address, it's happened all season. I'm carrying the baggage of what's happened before as well. six points out of 10 games, that is not good enough. "We're trying to get into a position where we can go into games in a better position in the league, and relax into our football. The signs are good." Leeds are available at 1/1 to beat Fulham 2-1 at Elland Road, while former United striker Ross McCormack is 1/1 to score at any time for the Cottagers on Saturday.